Our Sweetheart Reversible Tote is a medium version of our Large Reversible Tote, for when you don't want to carry the whole house with you! 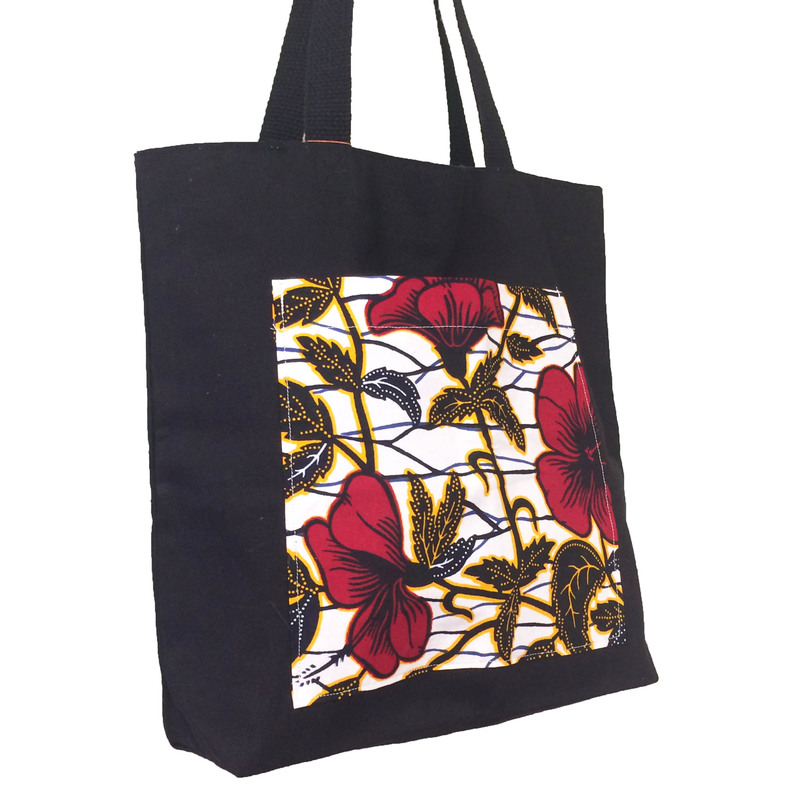 Each bag is fully reversible, giving you 2 unique looks, with black canvas on one side and vibrant African cloth on the other side. Both sides feature oversized, contrasting pockets. One pocket is zippered.